Print 20 part forms with Blumberg's FLIP intake software or free template. Keep in client file until you need them. Create file folder, pocket, jacket, wallet, docket sheet, disk and contact index labels fast with these color-coded label forms. 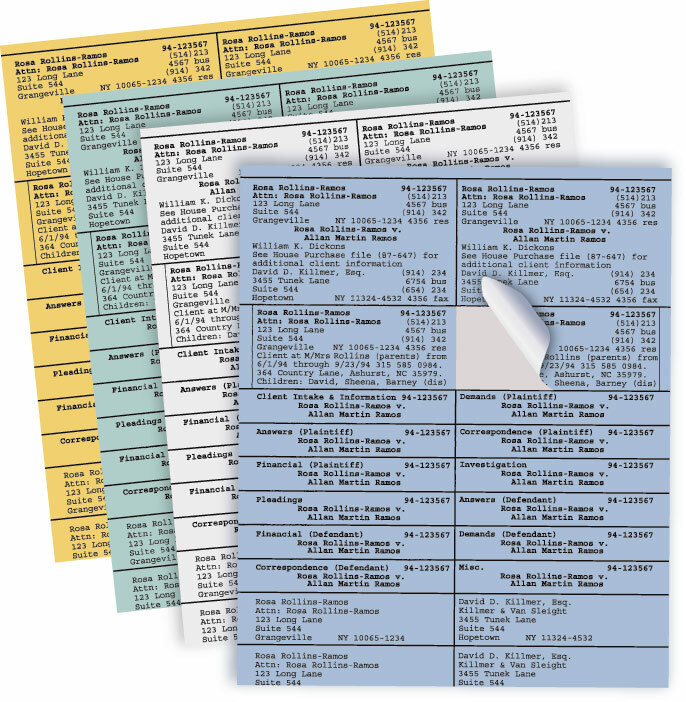 Download free template to print labels and save data or use FLIP client intake software. 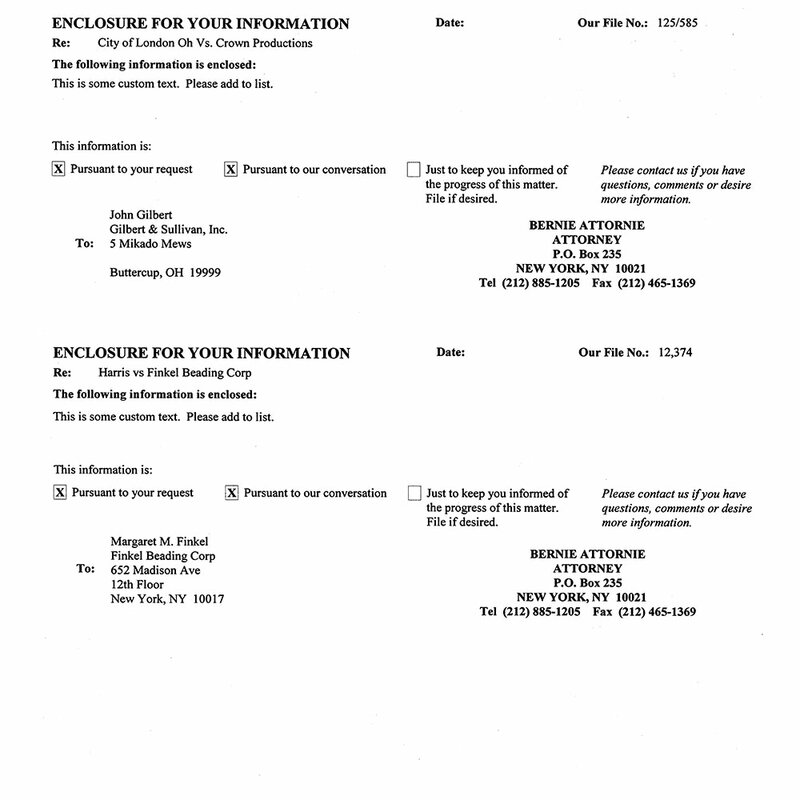 File Jacket or other application. First line: CLIENT NAME. 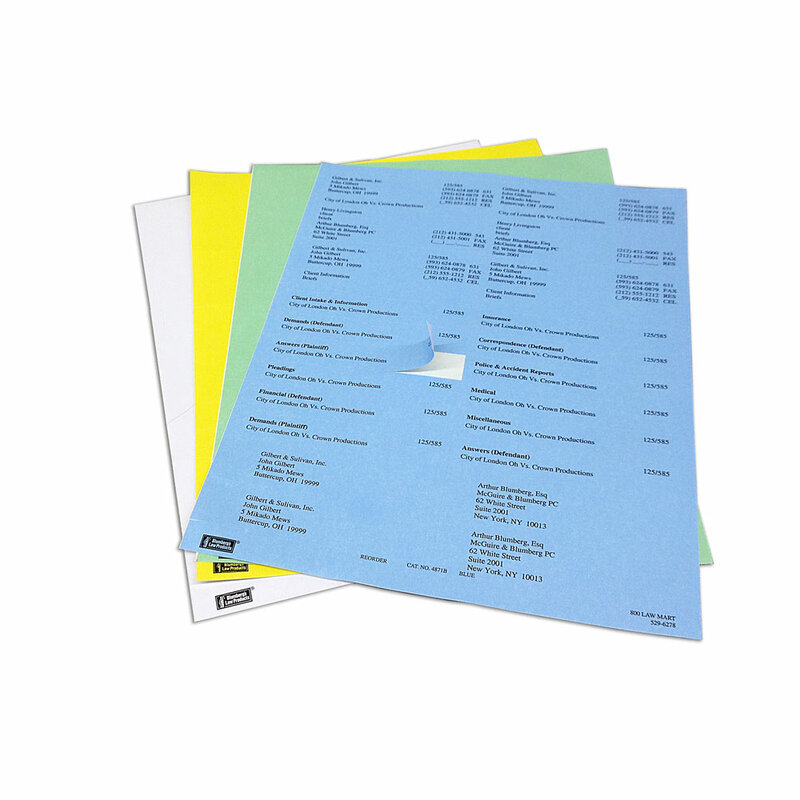 2 labels for (21/4” x 4”) Rolodex Cards or Docket Pages, File Jackets, disks or other application. First Line: CLIENT NAME. 12 labels for (5/8” x 4”) File Folders. First Line: SUBJECT MATTER. FLIP keeps lists of subject matter titles and merges them with the matter title to create file folder labels. 4 address labels. Choose the address of clients or opposing counsel. File Index Computer Labels (5018), 10-parts (see next page).